What Kind of Element Are You, According To Your Zodiac Sign? 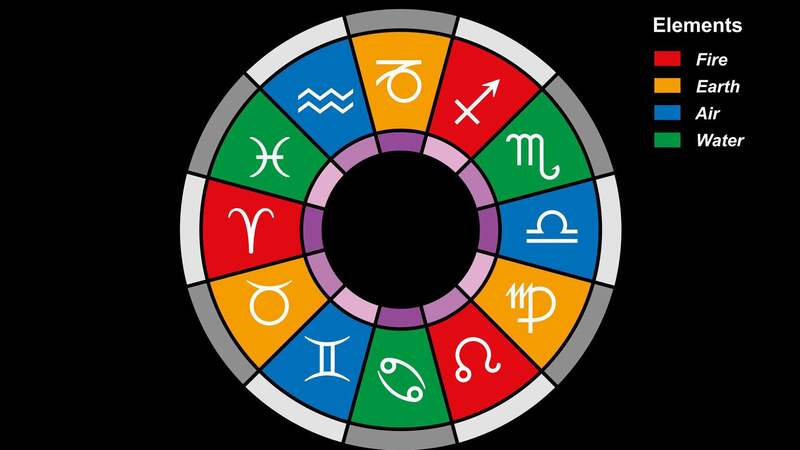 As you might already know, all 12 zodiac signs have been categorized based on 4 elements: earth, air, fire, and water. Every zodiac sign possesses unique traits and characteristics, depending on which element it falls under. However, signs of the same element, such as fire, for example, usually have a lot of traits in common. Fire signs tend to have a passion and zest about them that others find invigorating and attractive, for example. All four elements need to exist for the world to have balance, because without one, the Earth’s alignment and energy would become weakened. If you look at these elements as vital to our existence, you can relate much more deeply with your sign’s element. No matter which element you represent, you make up a very necessary part of the universe. We need water for emotional comfort and stability, as well as to carry us gently through life’s currents. We also need it for survival, as water makes up a great portion of our cells. We need fire to stay warm, and to give us sight in the dead of night. We need air to breathe, and to carry us to our next destination. We need the Earth, of course, to live on, to connect with, and to nurture us. With all of this in mind, the element that represents your zodiac sign likely portrays key parts of your personality. Today, we’ll go over the four elements, how each sign represents them, and what this means for you. Fire signs have a passionate, feisty, bold attitude. They don’t hold back, and don’t let anything stand in their way. They can become defiant at times, but they just want to follow their heart. This go-getter attitude takes them far in life, as long as they can hone in their emotions so they don’t trample on others. 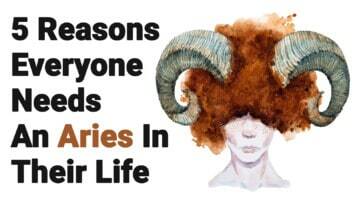 Aries love making new friends of all walks of life. They have a good soul, despite how they might seem on the surface. If you don’t get to know them, you might think of them as self-centered, obnoxious, and attention-seeking. However, once you talk to them, you’ll see their true, charming, friendly nature. They have an enthusiasm for life that just attracts others to them. They do pack quite a punch, so if you make friends with an Aries, get prepared for lots of laughs and plenty of fun adventures. Oh, and maybe a heated argument or two. The Lion loves to take the spotlight whenever he or she can, and have a great deal of confidence. They might seem a little egotistical, but their fierce, bold nature simply requires them to speak their truth and not hold back. You can count on a Leo for anything, and they will step up into the leadership role if no one else does. They will also make you laugh with their goofy, charming personality. Sagittarius can get angry pretty easily, and tend to go off on their own after a heated argument. Other than that, however, they have plenty of great qualities. They love adventures, so get ready to travel far and wide with a Sagittarius. They also love deep conversations and questioning things in life. Sagittarius have a creative, contemplative personality once you get to know them, despite being outgoing and seemingly simple on the outside. They have an interest in all the questions that don’t have answers, and never stop exploring. Water gives us life, but plenty of mysteries lie beneath its murky depths. Like water, people born under this element have a lot going on beneath the surface. It might look calm at first glance, but jump into the unknown, and you’ll see just how much water signs go through. Sensitive, caring, and empathetic by nature, water signs usually identify as empaths. They simply feel so much energy from everywhere that they often can’t handle it. They like their alone time to recharge and heal, and might seem a bit mysterious and stand-offish from a first impression. They carry their emotions deep within their bones, and only their closest friends and loved ones get to see the “real” them. They use their intuition to guide them through life. Pisces have a multi-faceted personality. They seem goofy and a bit shy on the surface, but anger them, and you will never hear the end of it. On one hand, they love socializing, but they need plenty of solitude to recharge. They resonate with arts, video games, and anything creative and imaginative. They adapt easily to their environment, and make wonderful friends that will never leave your side. Mysterious by nature, they open up to you if they feel comfortable in your company. Cancers definitely know how to be there for their friends and family. They put their loved ones first, and will literally go to the ends of the Earth for them. Arguably the most caring, nurturing sign in the zodiac, Cancers are deeply intuitive and emotional. They are so complicated that sometimes, they don’t even understand themselves. Sadly, they often feel lost and overwhelmed as they try to find their place in the world. They have very intense emotions that, just like water, ebb and flow with the moon’s cycle. They are very in tune with nature, and spend most of their time here in solitude. They have a volatile temper, but don’t show it unless they feel comfortable with you. They are inspirational, motivated people, however, and follow their own path in life despite any obstacles. They resonate with creative endeavors, exploring, and anything dealing with natural living. They can be crabby, but it won’t last long. 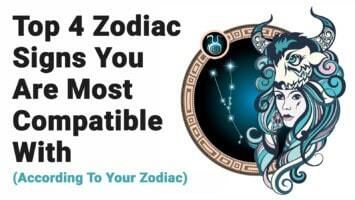 They are one of the most complicated signs of the zodiac, so try to figure them out if you dare. Scorpios are also kind of confusing, but loving and passionate nonetheless. They appear mysterious and aloof at first, but will open up in time. Cross a Scorpio, though, and you can expect them to plot revenge. Scorpios can be indulgent and out of control at times, but they like to live life on the wild side. They also don’t show emotions easily, and tend to bottle them up inside. Scorpios hold their friends and family close, and will go to great lengths to protect them. Earth signs are easily the most stable, reliable, and (you guessed it) down-to-earth people you will come across. You need an answer, they’ve got one. You have a problem, they’ll solve it. You can count on them for anything, and they won’t let you down. They are quick-minded, witty, and a tad sarcastic, but lovable all the same. They do come across as cold and unfeeling, but that’s just because they use logic much more than emotions to connect with people. While the bull is stubborn, it’s also strong, reliable, and brave. Taurus have a strong work ethic, and will not stop until they reach their goal. They have great aspirations in life, and will work very hard to get where they want to be. They don’t show emotions easily, but make great listeners for those who need help. They are great friends, and love to go on adventures. However, don’t try to change their mind. This bull doesn’t budge easily. Virgos also have a logical, practical approach to life. They have a methodical way of doing things, and greatly dislike disorder. Virgos also tend to overthink everything, however, and take a long time to make a decision. However, their observant, pragmatic nature allows them to take time in making choices, and not to rush anything. They enjoy quiet activities, and while sweet and charming, they don’t always make friends easily. If you want to befriend a Virgo, you might just have to make the first move. Capricorns, like Taurus, are workaholics. They identify greatly with their occupation, and work extremely hard to maintain their status at the job. They care a lot about self-image and don’t want anyone to see them in a less-than-perfect state. They are conservative, independent, and stubborn, but make loyal friends and partners. They love to inspire and help those around them, and will solve any problem quickly. They make wonderful leaders, even if they seem a bit harsh at times. Air signs tend to be flighty and fickle, like their element would suggest. One moment, they feel directed to the north, and the next second, something calls them the other way. Air signs literally let the wind carry them where it feels they should go, and have a laid-back attitude about life. Air signs may seem a bit shallow and empty-headed on the surface, but once you get to know them, you’ll uncover more of their hidden layers. However, they don’t like to dwell on emotions and sentimental aspects of life too much. They live in the moment, soaking up as much fun and adventure as they can. Aquarius love an intelligent conversation with someone who can teach them something, above all else. They love travel, exquisite dinners, and the finer things in life. However, they don’t like to show off, either. They like to live within their means, and will do whatever it takes to follow their dreams. Aquarius have a simple, positive, nonchalant attitude about life, and take the opportunities that come their way. They don’t spend too much time tangled in their own thoughts; they’d rather remain present in the moment and look at all the beauty around them. 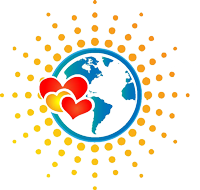 They are humanitarians by nature, and wish to make a positive impact on the world. They are a bit unpredictable, but this makes them fun to be around. Geminis can seem complicated, and some believe that only another Gemini can truly get them. Known as The Twins, they literally have a split personality that even they can’t decode at times. One minute, they seem friendly and loving, and the next, independent and reckless. They have a hard time knowing what they want in life, and can easily become overwhelmed by their ever-changing nature. They think of life positively, and don’t like to hang around those who bring them down. They can talk your head off, but they also like alone time to express their creativity. They are open-minded, curious, and ultimately, fun people to hang around. However, they can be a bit hard to get to know, so it may take a while with them. Libras, above all else, need balance and justice. They are constantly walking a tightrope, trying to keep their emotional, mental, and physical health in line. They also can’t stand to see all the injustice in the world, and feel a personal responsibility to fix all the issues we have. Libras need peace, understanding, and deep conversations in both friendships and romantic relationships.